Are green retrofit technologies worth the investment? In the UK the vast bulk of property is ageing, creating the potential to maintain our architectural history through the adaptation of existing structures; modernising them whilst making them environmentally friendly. As UK planning regulations and legislation continue to support green retrofit – with a future of more energy efficient homes and buildings in view – the question we’re often asked at Granit is whether the retrofit technologies on offer are worth the hard-earned cash. Retrofit measures are actions we can take to upgrade a building, enabling it to respond positively to climate change. Reducing the property’s carbon footprint is one of the key objectives of retrofit. Other important considerations include increasing the comfort of the building for its occupants and reducing the incidence of fuel poverty – that is, when heating a home adequately becomes unaffordable for the household. Green retrofit doesn’t always need to be high-tech. We can start by addressing the fabric or structure of the building. Simple solutions, such as installing double or triple glazed windows, insulation, shading devices or draught excluders, can aid temperature regulation in both homes and commercial spaces. Choosing sustainable materials is another key consideration. What are green retrofit technologies? There are many technologies available these days which, when added to an existing structure, can help to reduce its impact on the environment. For a typical home, it can be as straightforward as upgrading the heating system to include a gas-fired condensing boiler with full thermostatic controls and smart radiator valves, all of which lower fuel consumption. External doors can be raised to a high performance specification, both improving security and excluding draughts. Solar panels incorporated into the roofing will draw power for the household directly from nature and the simple change of lighting to long-last, compact, fluorescent light bulbs, or LEDs, has an impressive and immediate effect on the sustainability of a building. In the UK the vast bulk of property is aging, creating the potential to maintain our architectural history through the adaptation of existing structures; modernising them whilst making them environmentally friendly. 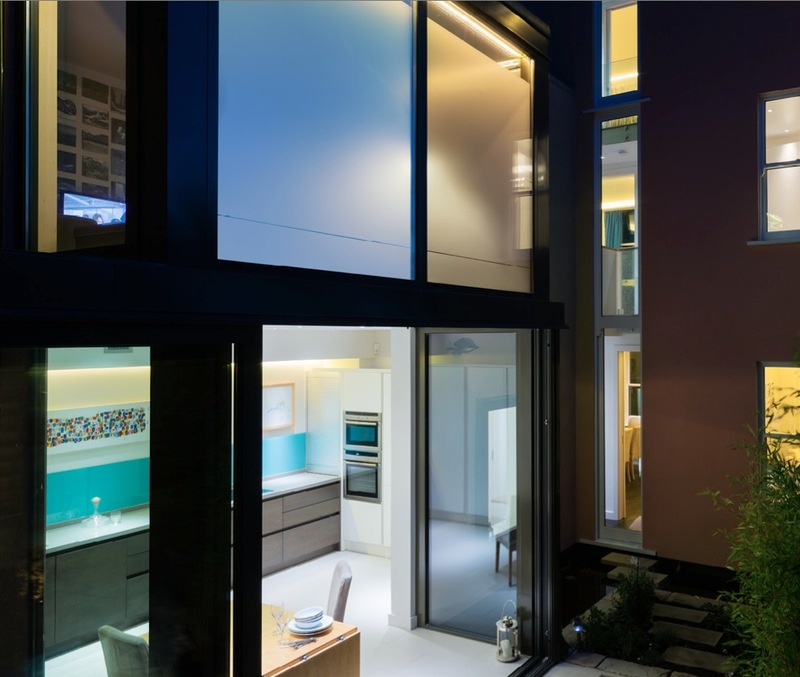 As UK planning regulations and legislation continue to support green retrofit – with a future of more energy efficient homes and buildings in view – the question we’re often asked at Granit is whether the retrofit technologies on offer are worth the hard-earned cash. The technologies available to commercial property retrofits can lower energy consumption to a dramatic degree. Installing a Building Management System with intelligent building controls can improve energy efficiency by up to forty per cent. Using a voltage optimiser will reduce the incoming mains voltage from 242V to the standard 220V required by most electrical equipment, saving the difference from wastage. Adding a retrofit device to AC induction motors can reduce electricity consumption by up to fifty per cent, while retrofit-installing an intelligent lighting system with smart sensors and timers will prevent even more electrical wastage. What are the benefits of green retrofit technologies? The obvious benefit here is the reduction in a building’s impact on the environment. Another plus is the significant, long-term cost saving we can make by reducing our fuel and electricity consumption and water wastage. Through using green retrofit technologies we are also able to increase the Energy Performance Certificate rating of a property. There are numerous non-financial gains to be had from green retrofit: improving the home or work environment to make it more attractive and more comfortable for its occupants impacts favourably on both mood and productivity. By retrofitting existing properties we’re also able to maintain our country’s vast architectural heritage and demonstrate social responsibility within our communities, updating local buildings in an environmentally-conscious way. The major downside to green retrofit is cost. In order to retrofit a property properly, substantial works are likely to be necessary and the financial outlay will take time to recoup. 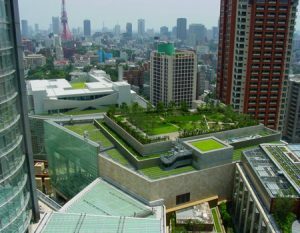 If the property owner is only interested in installing sustainable measures on a small scale, the impact of any benefits will probably be harder to see. However, there are financial incentives, which can help with the cost of installing certain green retrofit measures, large or small, to a home, and companies can apply for government or local authority funding to aid a commercial property retrofit. The government and local authorities continue to promote sustainable measures to the UK population via incentives such as the Green Deal, and bodies such as the UKGBC (UK Green Building Council) are pushing to increase the financial attractiveness of installing green retrofit measures, encouraging more property owners to take up retrofits. In essence, green retrofitting isn’t going anywhere and regulations supporting retrofits show the potential to become stricter with time. An example of this is the legislation due to come into effect in 2018, whereby all rented properties will have to conform to Minimum Energy Performance Standards. If you’re a landlord with a property in the lowest-ranking EPC bands of F or G, you will be required to install measures to raise your property’s energy performance. Failure to do so will be considered unlawful. As yet, it’s unclear just how this will be enforced. Nonetheless this is an area of forthcoming legislative change that indicates just how seriously the Government is taking the importance of retrofitting existing buildings, to reduce their environmental impact. When discussing green retrofit technologies and initiatives, we consider future-proofing alongside reducing environmental impact and cost savings. By using retrofit technologies to improve the environmental impact of our buildings we are indeed future-proofing, or protecting them against the need for significant alteration in the future, reducing potential upheaval and additional future expense. We’re also creating a healthier environment for our children and teaching them by example to care for the world we share. By using green retrofit technologies we’re practising the sustainability mantra: reduce, reuse, recycle. By reusing or recycling an existing structure, then adding technologies to make it smarter, more energy-efficient and more comfortable to use, we’re able to reduce costs and maintenance requirements. So, are green retrofit technologies worth the investment? After the initial investment in green retrofit technologies, they prove their worth through improving the environment we live in, saving us time and money, enhancing our homes and workplaces and protecting the heritage of our communities. They ultimately end up paying for themselves and are an investment well worth making. With the variety of technologies available for use in properties requiring energy efficiency enhancement, improvements to funding for these being addressed and legislation enforcing minimum levels of energy efficiency in all properties already on the cards, the future demands our action today. Green retrofit technologies aren’t just an investment, but a necessity for a greener tomorrow. And have a look at this blog post, 283 Reasons Why Green Retrofit is Important. In the film and slideshow we take a peek inside the home of Granit Director and Architect Robert Wilson – an example of how green retrofit technology and sustainable design can be used to great effect.